The suburb of Baulkham Hills is known as much for being a hub of education as it is for its proximity to the CBD. This place is known for its spiritual and community ties and this has made as much of an impact on the character of the town as the people who live there. People commute from the area via bus or car to places like the North Shore, Parramatta, and Kellyville, making it a travel hub as well. At The plumbing Detectives, we dispatch plumbers to Baulkham Hills who know how to keep this town and its businesses and residences running smoothly. 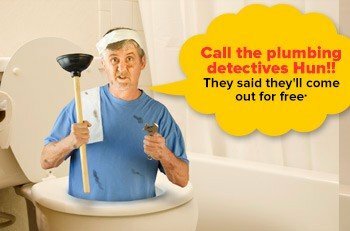 As well-known plumbers in Baulkham Hills, the Plumbing Detectives know that people are busy. We all are. But at the end of the day, people look forward to the comforts of home when the working day is done. This is why we provide a wide variety of services that meet your plumbing needs on your schedule. These services include pipe servicing and maintenance to make sure that essential water and refuse flow is reliable, so you’re comfortable in your home. When a pipe bursts, it can be a catastrophic event. That’s why the Plumbing Detectives stand ready to dispatch an emergency plumber to Baulkham Hills at a moment’s notice to protect your valuables, furniture, floor and walls from severe water damage. In some cases, a badly haemorrhaging pipe can even undermine the foundation of your home, reducing your property values and costing you a lot of money. Damage of this magnitude is why having a Baulkham Hills emergency plumber just a phone call away is such a valuable commodity, should the worst happen. The kitchen is another area that is often in need of assistance from emergency plumbers in Baulkham Hills. As one of the places in a home where water flows freely and taps are operated most often, the chance of leaks, cracked pipes and corroded attachments is very high, but for every problem our plumbing technicians know the solution and will fix it to our exacting standards and your satisfaction. Our record for being reliable and on time to every appointment is something that the team at the plumbing detectives is very proud of, and part of the reason why we are respected in Baulkham Hills. If you have any issues with your pipes, kitchen plumbing or any other plumbing problem, our professional team of plumbers will be there to help you 24 hours, 7 days a week to take care of emergencies. Call us at 02 9708 2732 and find out more about us and our excellent customer service.